...of a boy holding his girl close to him, as they watch the sunset from a bench. The girl is holding two daisies in one hand, and there is a forlorn puppy sitting on the ground next to their bench. 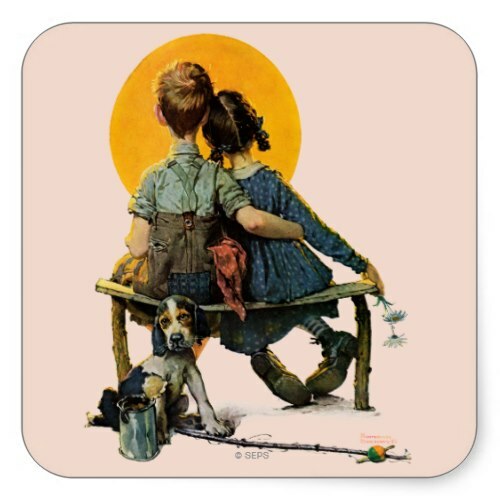 A wonderful caricature by Norman Rockwell, featured here on a large size sticker!